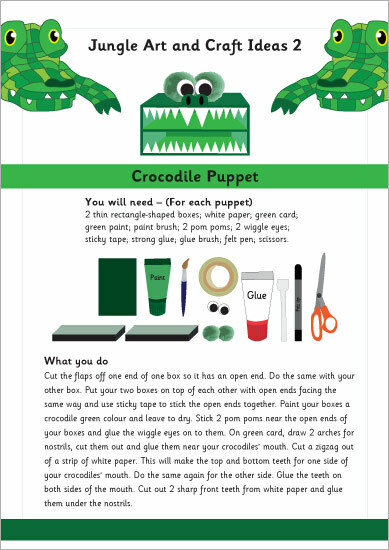 An illustrated jungle themed activity sheet demonstrating how to make a crocodile puppet using some rectangle shaped cardboard boxes, paper and glue. It’s a fantastic jungle craft idea to use with young children. Teaching pre-schoolers is a challenge and they need to be constantly entertained. Your site offers educational alternatives to conventional methods. It’s great!